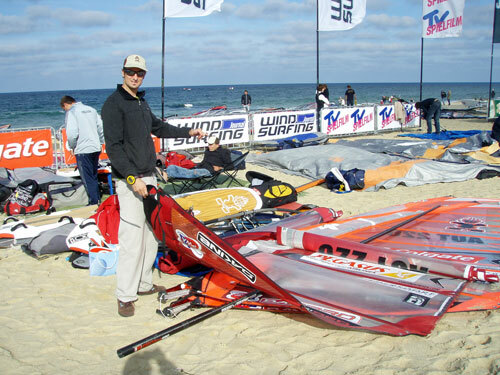 Yesterday the last Slalom 42 comp got started here in Sylt. A nice breeze with 7 to 11 knots were on the course. I sailed in heat 7. Just before the start the rope at the boomend went out of the rope. Such a bad luck. My sail had no tension and a massive catapult followed at the startboat when getting one hand on my startwatch. A desaster! My gear was perfect tuned until this breakage happened. Anyway, tried to do my best, started bad, followed the fleet. 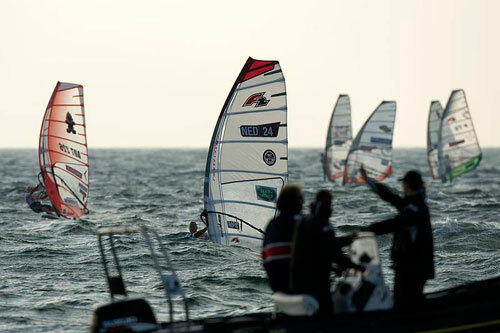 I overtook two racers and came close to Peter Volwater at the fourth jibe, but ended 5th and did not make it up to the next round. ThatÂ´s so disappointing. This time I felt confidence and power. I will do much better in the next races. In the evening we followed an invitation: JÃ¼rgen HÃ¶nscheid presented together with Alex Lehmann, the publisher, his great book. A lot of stories and pictures of his life were told and shown. I definitely never will forget this evening. 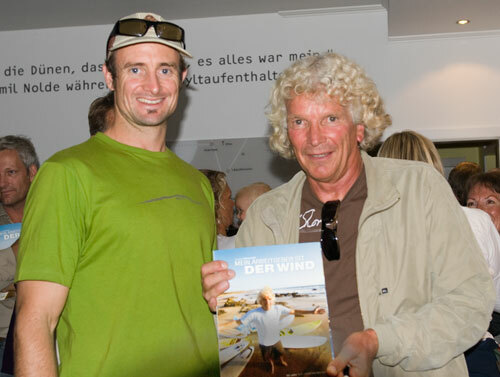 JÃ¼rgen definitely is a person who still carries the soul of the sport around the world and out on teh ocean. Get a copy of the book. ItÂ´s worth!!! JÃ¼rgen and myself. I once met him before on Fuertevetura in Lajares. “Mein Arbeitgeber ist der Wind.” is the title of the book. (shot by Kerstin Reiger).